WhatsApp Business has launched a separate app designed for use by small businesses to more easily connect with customers. 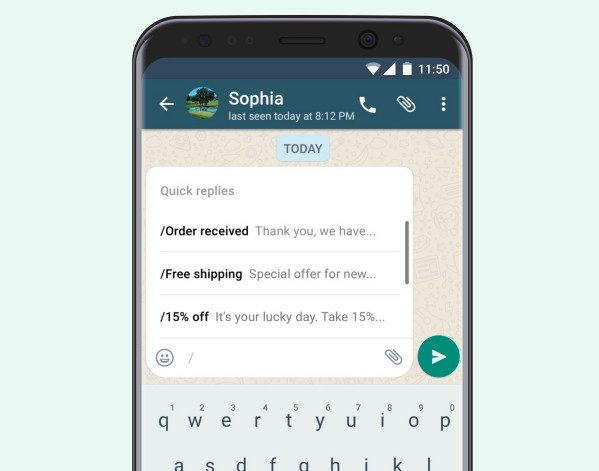 WhatsApp Business adds key features like dedicated business profiles for details like email address, business description, store addresses, and website; smart messaging tools like greetings, quick replies, and away messages; and metrics for how many messages were sent, delivered, and read. WhatsApp Business app which goes live in many markets today. The free-to-download Android app for small businesses will be available today in Indonesia, Italy, Mexico, the UK and the US. The app will roll out to other markets, including India, soon. Business accounts will be clearly listed as such. App says over time, businesses that have confirmed their account phone number matches their business one will receive a confirmation badge on their profile. That’s similar to WhatsApp adding green verification badges to select business accounts last year in the standard app. WhatsApp says other users can continue to use the standard app as usual and will still have full control over the messages they receive like blocking numbers and reporting spam. WhatsApp Business is free and available to download now for Android users, though there’s no mention of an iOS release yet. According to WhatsApp, over 80 per cent of small businesses in India and Brazil say WhatsApp is used by them to communicate with customers and grow their business today.